Those little blue Ford GoBikes are now officially union-backed bicycles. Bay Area Ford GoBike workers voted to join the Transport Workers Union of America in an election, Thursday. The workers voted 35-24 to approve unionizing, according to the TWU, which released the results Friday morning. “The ultimate act of democracy in a workplace is joining a union. By voting to join the TWU, San Francisco’s bikeshare workers have greatly strengthened the economic security of families,” said TWU international President John Samuelsen in a statement. Not so fast. There is a lot of interest in turning contractors into employees. Now that they are union workers, that might happen rather soon. It is just a matter of time before the radical new tech corporations become part of the old school and they are looking out of the next big thing that will replace them. Transportation officials are considering a tax on Uber and Lyft rides in Los Angeles County, saying the Bay Area tech companies don’t pay their fair share to maintain public streets and exacerbate congestion in a traffic-choked region. The ride-hailing fee is in the early stages of discussion at the Metropolitan Transportation Authority, along with more than a dozen other strategies to manage congestion and fund transportation projects before the 2028 Olympic Games. The Chase Event Center, located at 16th and 3rd Streets, is expected to open its doors in August 2019. The 18,000-seat Event Center could host over 200 sports and entertainment events annually, including up to 50 to 60 Warriors home games, which will start at 7:30 pm on weekdays and 5:30 pm on weekends. In anticipation of the opening, the SFMTA has worked with the nearby neighborhoods to develop a plan to discourage people from driving to Chase Center events and to maintain parking availability for nearby residents and businesses during events. The SFMTA presented these plans to neighborhood associations for their feedback, including the Dogpatch Neighborhood Association (DNA), the Potrero Boosters and the Potrero Dogpatch Merchants Association (PDMA). Based on feedback received at these meetings, the SFMTA prepared a proposal for changes to the hours of parking enforcement and meter rates. Special event meter pricing and extended Residential Permit Parking (RPP) enforcement hours on streets surrounding Oracle Park (formerly AT&T Park), home of the San Francisco Giants, have proven effective at maintaining parking availability for residents and local business customers. As you may have experienced during games and other events at Oracle Park, meter rates are $7 per hour during events, while RPP Area Y parking is enforced from 8 am to 10 pm every day. 7th Street between Daggett Street and Hooper Street will be enforced until 10 p.m.
All Area EE blocks will be enforced Monday through Saturday until 10 p.m. Some Area X blocks (see attached map) east of Wisconsin Street and north of 18th Street enforced Monday through Saturday until 10 p.m. In order for the modified hours of enforcement to be in place by the time the Chase Event Center holds its first events, the final proposal would need to be presented at the SFMTA Engineering Public Hearing in March, tentatively scheduled for March 8th at City Hall. (Check the SFMTA website for actual public hearing date). Depending on the outcome of the public hearing, the SFMTA Board of Directors could consider these changes at an April board meeting. This will allow new signs to be ordered and installed in August or September. We will send updates when the Public Hearing and SFMTA Board of Directors meeting dates have been finalized. For more information visit: Special event meter pricing. SFMTA extends special event parking for sports fans into more neighborhoods. SFMTA intends to turn most of Mission Bay, part of Dogpatch, and most of the SE part of Southbeach into event parking for the sports fans. Let Mat Haney and Shamann Walton know how you feel about this plan. How much should the citizens of SF give up to the wealthy fans of wealthy ball teams and owners? How many ticket holders are going walk a quarter mile to a game, especially through the kind of streets we have in SOMA? Most will park and take an Uber or Lyft to the event. If you can think of an alternate plan, suggest it. New research anticipates congestion problems as owners of self-driving cars allow their steeds to prowl the streets instead of forking out for parking charges. The paper by Adam Millard-Ball, an associate professor of environmental studies at the University of California, Santa Cruz, was published in the rivetingly named “Transport Policy”. Is this the nightmare our CPUC is planning to unleash on us next? Constantly prowling auto autos, that never park will congest our streets, waste fuel, and add to the emissions a lot more than private cars that park will. Everyone has noticed the increase in traffic since TNCs arrived on the scene. All hte TNCs at least park at night, while the drivers sleep so the streets are clear at night. Allowing corporation to flood the streets with cars that never park means the traffic will never stop. We need to implore our Governor to take control of the CPUC.by appointing a new board that will regulate the industries not support them. No one is happy about the PG&E fiasco. 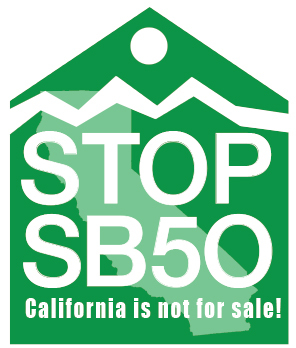 Suing them while the CPUC gives them free reign is a waste of taxpayer money. If we had a regulatory agency that regulated the industry we would not need to take it over. From Chinatown to Van Ness Avenue, long-running, much-delayed Muni construction projects have threatened businesses and even caused some to shut down. Now San Francisco leaders may have a solution: cold hard cash. Later in the day, SFMTA Director of Transportation Ed Reiskin told the San Francisco Examiner the proposal could potentially throw a wrench into future transit projects. DO NO HARM sounds like a better goal. Protect the businesses by limiting the projects. The goal to finish the projects not start them. The Supervisors could limit the number of contracts in each neighborhood by only awarding one at a time. Finish the Central Subway before cutting up any more streets within a quarter mile of it. If the project is overly complex, move the businesses into empty storefronts on other streets during the construction. I remember hearing rumors about rules that used to exist that precluded more than one construction project per block. Limiting SFMTA projects to one per neighborhood would save the taxpayers money instead of adding to the cost. Maybe we should have some incentive built into the system that would award the contractor and the project manager for finishing the projects instead of starting them. All those workers can be directed to the few projects that are underway instead of spreading them thinning all over the city. If you agree, write your supervisors. This could be the key to solving many of our traffic problems faster than anything else we can do. Less construction would get traffic flowing again. Limiting the noise and dust in the air would improve our healthy and relive the stress on our streets while protecting our businesses. And best of all, it would cost us nothing because doing less costs less.